The question isn’t whether you can make money flipping houses. If done right, flipping houses can make you serious money. For example, if you flip one house every 3 months and make $30,000 in profit, you can make $120,000 a year, with just 4 house flips. But flipping houses can go very wrong, costing you more than how much you can sell it for, and sometimes never even ever completing the renovations before you put your hands up and sell it for a loss. If you’ve been entertaining the thought of flipping houses but have never taken the step to researching more about how much you can make and if it’s even viable, then this is a good place to start. Treat this as a big-picture primer of how much you can potentially make from flipping houses and what you should consider before you take the leap. At the end of the article, DOWNLOAD the step-by-step house flip profit calculator where based on market comps in the neighborhood you’re interested in flipping houses, you can calculate the target price you should look for in the house you want to flip to make a profit. WHAT’S THE RIGHT DISCOUNTED PRICE FOR A HOUSE (TO FLIP)? In order to make a profit on a house flip, you have to buy the house at a discount, but how do you know if the house is discounted enough? 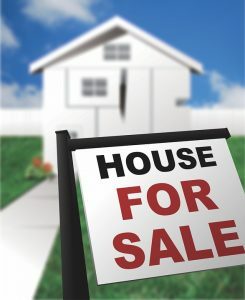 First, know the selling price of similar properties in the neighborhood. This is achieved by looking up comparables (or “market comps”). Go to realtor.com and look up the address of the neighborhood you want to flip your first house. Use the market comp worksheet to estimate the average value of similar properties (scroll down to the bottom of the post to download this spreadsheet for free). On average, the rule of thumb is for all-in costs (cost of the house, cost to repair, cost to sell) to be less than 70% of how much you can sell it for after all the repair (aka After Repair Value or “ARV”. You want to sell as quickly as you can after you’ve finished the repair (aka rehab) since that was the purpose of flipping the house. How quickly your house sells will depend on whether the neighborhood is already a typically hot market. So, you want to pick a neighborhood where houses sell quickly. Every neighborhood varies in terms of how long a house sits on the market for. But the rule of thumb is to look for neighborhoods where houses sold within 10 days of listing. Look for these neighborhoods to flip a house in. HOW MUCH CASH DO YOU NEED TO BUY THE HOUSE? Unless you have hundreds of thousands of dollars in your bank account (in which case, what are you even doing here?! ), you’ll need to take out a mortgage to buy a house to flip. Lenders won’t lend more than 80% of the value of the house if you won’t be living in it, so consider that the cash you’ll need is at least 20% of the purchase price of the house. Also, closing costs are 2-5% of your purchase price (which u can calculate in detail here if you want to know more.) So, factor this into how much cash you need to start your first house flip. HOW MUCH DOES RENOVATION/REPAIR (aka “REHAB”) COST? Needless to say, rehab cost depends on the shape that the house is in when you purchase it. If you purchase the house at a 10% discount to market value and all it needs is an outside paint job and landscaping, then all-in cost might only be $3,000. On the other hand, if you buy basically just the skeletal foundation of the house, renovation rehab cost can be $150,000. 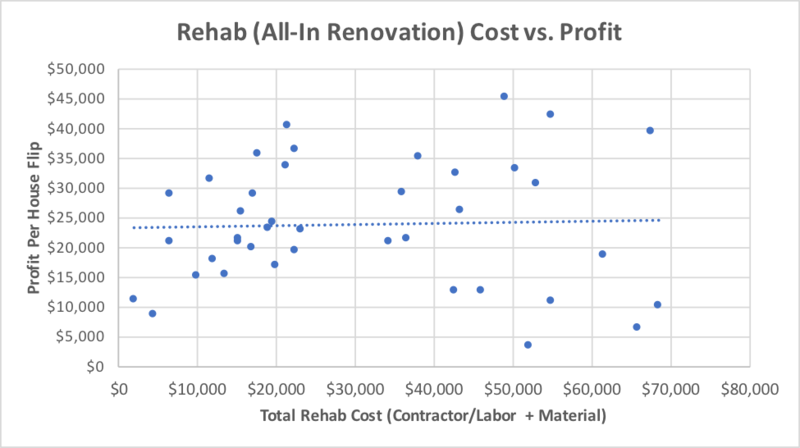 Average rehab cost ranged between $25,000 – $40,000 per house out of a dataset of 50 house flips. Of that, 25% was materials cost and 75% was contractor/labor cost. A typical cost estimate of each “job” that needs to be done to the house can range from $20,000 – $100,000. You can download the detailed cost estimator here. In order to stay within your budget, it’s critical to hire a reputable contractor. A good free resource is to start attending a real estate investors club on Meetup – you can get some very helpful advice from people with experience who can recommend reputable contractors. Reach out to at least 3 contractors and obtain written bids from each (and give your rose to the one). 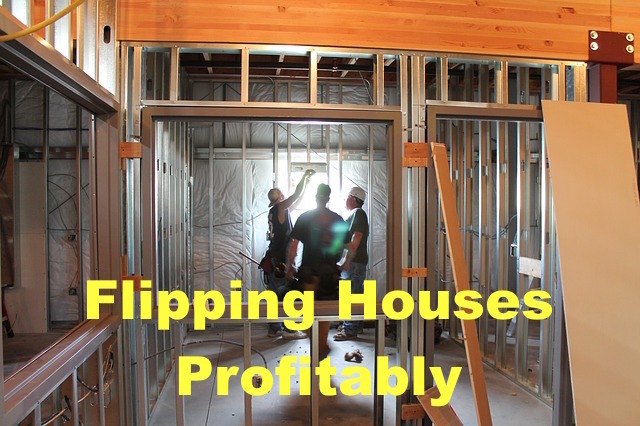 HOW MUCH PROFIT CAN YOU MAKE FROM FLIPPING HOUSES? From the data set of 50 house flips, the average profit was $20,000 – $50,000 per house. Was there a correlation between the amount of work that went into repairing the house vs how much profit was made? Interestingly, no. A run-down house that needed $70,000 in rehab cost made a profit as much as a house that needed $20,000 in rehab cost. 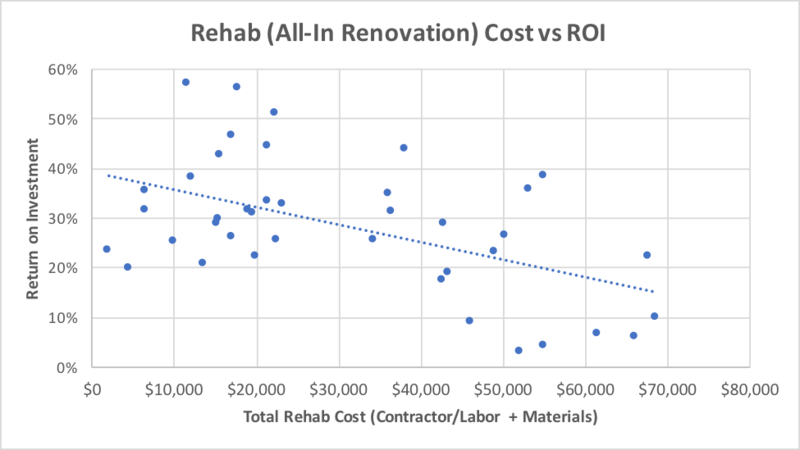 Another interesting finding was that the Return on Investment (“ROI”) was higher for houses that had lower all-in rehab costs (contractor/labor and materials). Key takeaway from this: a cheaper, more run-down house doesn’t equate to higher profit. Renovating a more run-down house will cost more relatively and erode your profits. A sweet spot is a house in a state that requires about $15,000 – $25,000 of all-in renovation costs. From the dataset, that window resulted in $15,000 – $45,000 in profit. Again, don’t forget that there are additional costs associated with buying the house (such as closing costs of 2-5% of the purchase price) and with selling the house (e.g. 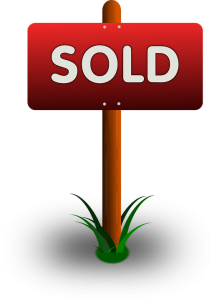 real estate agent commission of 5-6% of the sale price, a portion of the buyer’s closing cost, taxes which vary by state 0.01% – 2%, and other costs). Taking all of these costs into account, I’ve created a spreadsheet you can download for free at the end of this article to calculate the maximum price you should pay for your first venture into flipping houses. To make sure you're not a spam bot, enter the right answer: (2 + 3) x (2 + 2)?